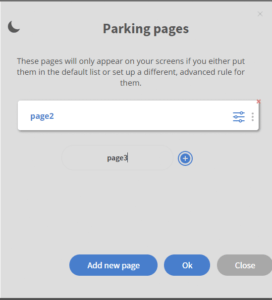 The created pages will be in the Parking pages section. You will have to drag them over to the Default playlist area to be able to display them. After that you can edit the page, and set the length of it. See more about Page Length.